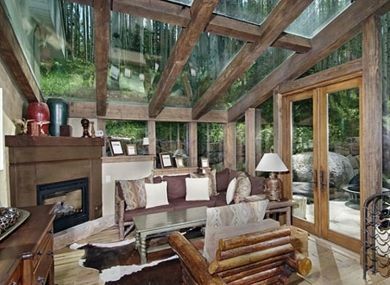 Features include a gourmet kitchen, elevator (best access to main level of home), sun room/breakfast nook, formal dining room, spacious heated patio with sunken hot tub and fabulous great room with two sitting areas and a wood burning fireplace in the living room. 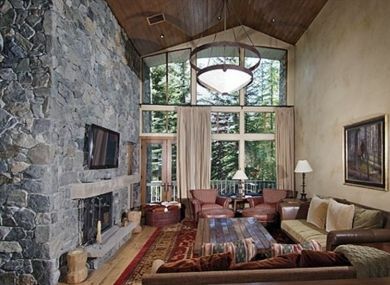 Two master bedrooms. Elegant bathrooms throughout the home. 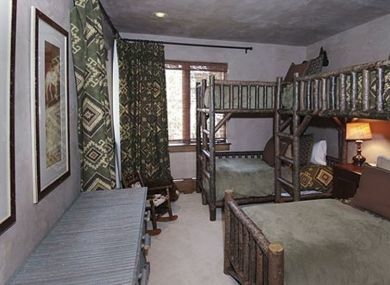 The third guest bedroom is perfect for children with four twin beds (custom log bunk beds). 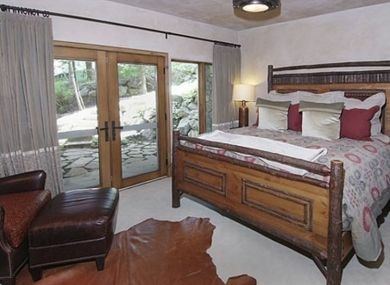 The fourth bedroom has two twin beds and the fifth bedroom/office offers a full bed. There is an option for two roll-aways if needed. 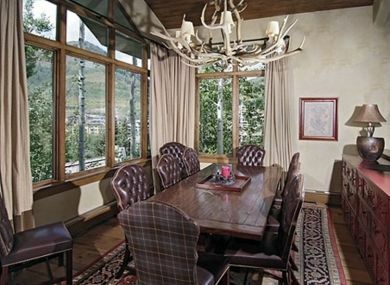 The Arrabelle Club and Spa, Lionshead shopping/restaurants, Vail bike path and Gore Creek fly fishing are just steps away. 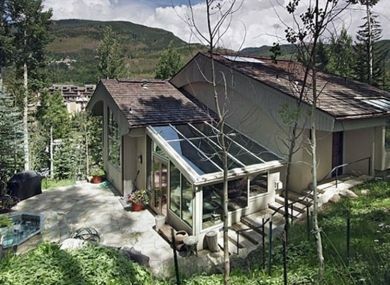 This is a perfect vacation rental for a family, group, or someone looking for peaceful privacy when considering Vail home rentals. 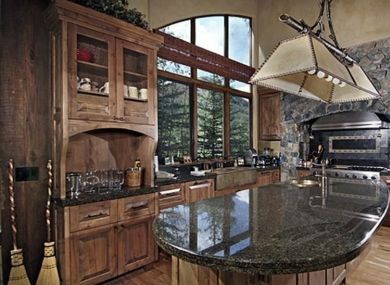 Ski-In location, Designer Furnishings, Gourmet Kitchen, Formal Dining Room, Heated Patio with Sunken Hot Tub, Wood Burning Fireplace, 2 Master Bedrooms, Elevator, Washer/Dryer, Garage, Outdoor Grill, Wireless Internet, Stereo/CD, DVD, Satellite/Cable.